What exactly is coin collecting and can you profit from something you enjoy? Coin collecting is the collecting or trading of coins or other forms of legally minted currency. Frequently collected coins include those that were in circulation for only a brief time, coins minted with errors, or especially beautiful or historically interesting pieces. Collecting coins can be differentiated from numismatics in that the latter is the study of currency. Though both are closely related, a numismatist may be or not be a coin collector and vice versa. In truth, coin collecting is part art, part science and part history. And, unearthing a hidden treasure and discovering what it is and what it’s worth is just pure adventure. It’s sometimes hard for outsiders to see the attraction, besides the inherent value of the coins, of course. Money is money after all. But beyond the dollar value of metal currency, there’s all the excitement of the chase, the intrigue of sleuthing and the rush of snaring a great catch. Pursuing a rare coin requires patience. There are dusty old books to read and sellers to visit. Correspondence with other collectors can put you on the trail of a 1917-S Lincoln Cent. Or, an old coin book can alert you to a fraudulent 1878 Morgan Silver Dollar. The Internet, as it has with so many other pursuits, has transformed coin collecting. Research no longer requires spending hours at the library or driving around town from seller to seller. You don’t have to wait a week to receive a reply via snail mail from a numismatic expert. And you can get a first class introductory education on coin collecting by searching around the web and reading articles by coin collectors that really know their stuff. But even with all the advantages that the Internet offers, there is still the need to search for those great deals on a mint Buffalo nickel, and nothing beats finding that 1856 Flying Eagle cent that you thought was extinct. 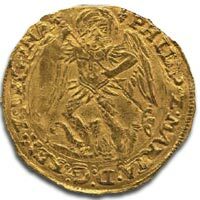 There’s no substitute for patient clue gathering and careful study to find those exceptional and rare coin collections. 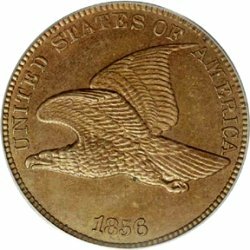 The years, mints and the history behind all the coin collections and coin designs over the years. Coin collectors see the world in a small, round piece of metal bearing an interesting historical design. And like other areas of history, there are frequent and continuing debates about a wide variety of coin collecting issues. Did Anna Willess Williams really model for the Goddess Miss Liberty? The answer affects not only the value of and historical interest in a coin collection, but branches out into the worth of the estate of the owner and the value associated with the designer. But along with the art and adventure, there is a lot of detailed science. Minting practices over the centuries, grading systems – which have grown significantly more complex and detailed in the last 25 years – and many other areas where the border between art and science meet, all have to be mastered. Not quite gone are the simple days of grading systems consisting of PO (Poor), Fair (Fr), Very Fine (VF) and the rest. But, though these designations are still used, they’ve been expanded and supplemented to encompass a much more precise, coin grading system. The current trend began in the 1950s with the Sheldon scale, a numeric system ranking coins from 1 to 70. Beginning in 1986 with the incorporation of PCGS (Professional Coin Grading Service), authentication and grading has been taken to new heights. Today, many coin collectors are experimenting with computer grading systems but none has yet captured the imagination. But with the increasing sophistication of image analysis software it should only be a matter of time. But, no one need fear that using modern scientific tools will quash the art and romance that collecting coins is. No matter how clever machines become, there can never be a substitute for good taste, clever insights and the Eureka moment that is enjoyed when the coin collector uncovers his rare find.